Recommendation Prize: Rudraksh, who recommended the champion Dmytro Mamon, therefore wins himself a PRO 7 Plus and a MEIZU Flow earphone the same as the winner. The valid comment floor numbers for the luckydraw is 282, so the lucky winners are: 28#, 85#, 141# (the floor belongs to theadmin so it goes to the next valid reply 144#), 187#, 254#. So these users please contact @KKPanda to get your $20 USD Amazon gift card: Gopikrishnaramisetty, MaximUkraine, User5200362172, GrandpaMax, 7Hrant7. Congratulations again to all the winners! And thanks again for all the users' support and download during the game. 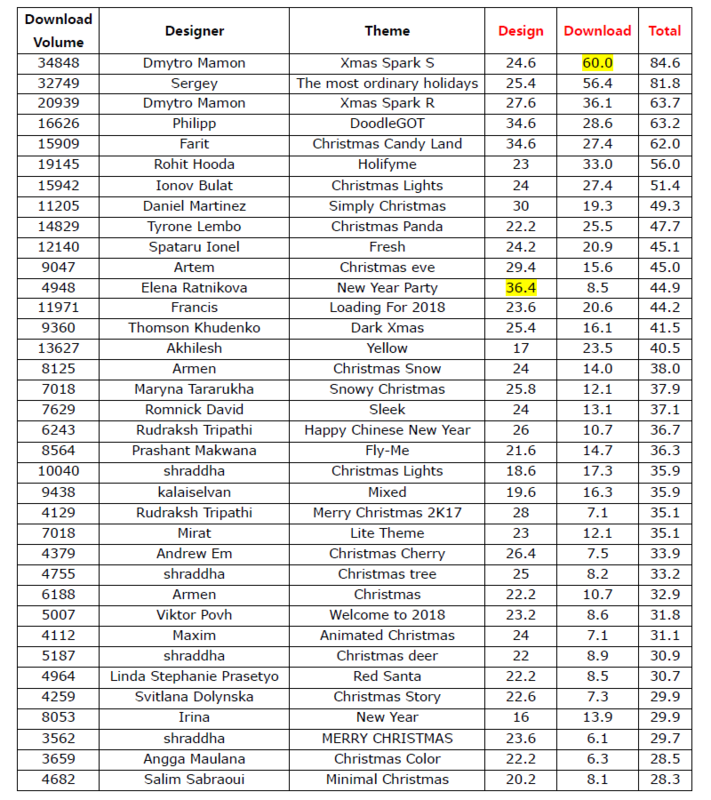 This year the participants was growing bigger than last year, therefore we had some unexpected changes during the contest. For the coming events, we will be more experienced and more careful! Thanks for all your tolerance and inspiration! See you next year! As the downloading goes, some users have brought up some questions about the contestant themes. We have considered the suggestions and have taken down some themes due to originality reasons. Also some themes are not related to the topic Holiday Season, so we took them down too. Also about the downloading count that a lot of contestant worried about, the server sometimes has delays, so don't worry about the countings, everyone will get the fair downloading amount. Hey guys! Great news! 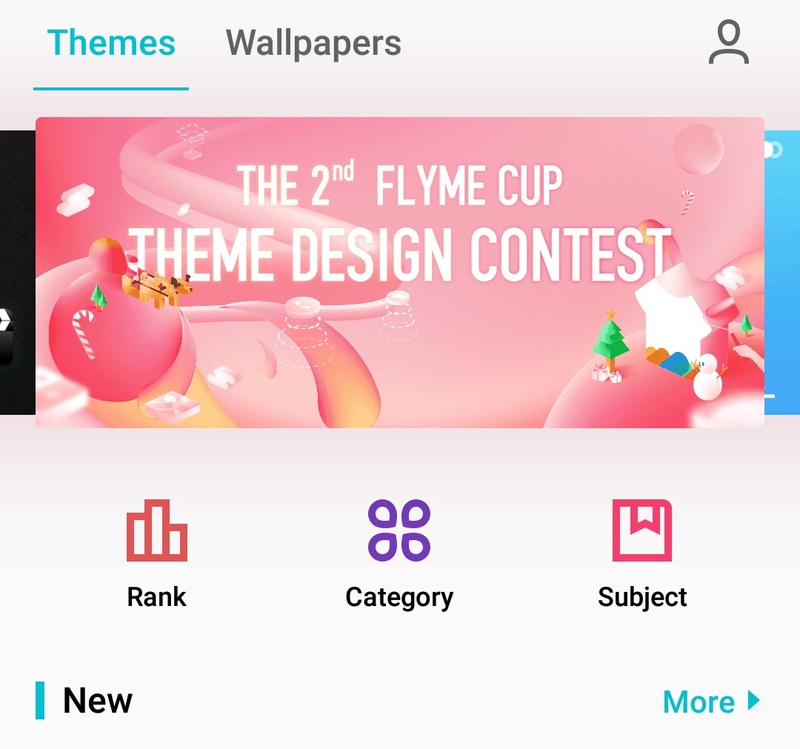 The contestant themes for the 2nd Flyme Cup Theme Design Contest are finally uploaded to Themes app successfully! We will start the download counting and the downloading phase would be last for 6 weeks, from today to 11:00(GMT+8), February 26th. The result will be calculated and announced on February 27th! Go to Themes app and download the themes you like in the contest feature! 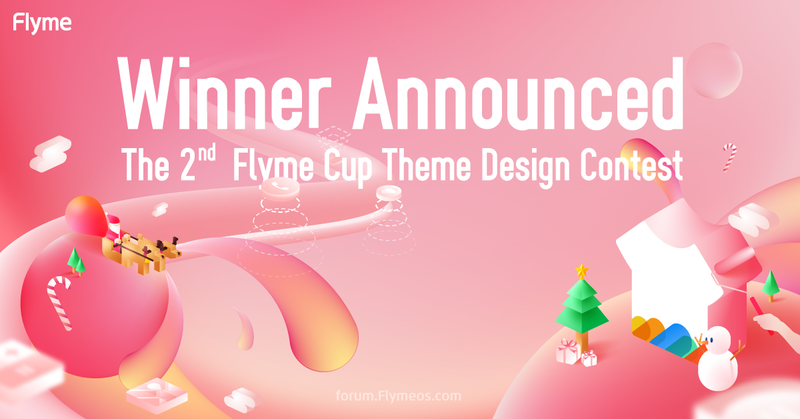 To the contestant designers: we have sent out notification emails in November end and early December to all the designers who have submitted their works to flyme.theme@meizu.com to inform them whether their work is qualified and accepted. If you're not sure if your work is in the Themes app, please check your mail. Also the lucky draw for ALL forum members is still going on! Reply this thread and win a chance to the lucky draw! The deadline for the lucky draw replies is also 11:00(GMT+8), February 26th. So remember to leave your comments before this time! A member can reply up to 5 times, or he/she will be seen as a spammer and be disqualified. Greetings guys! The new theme contest is here! This year, to make this contest more thrilling and challenging, we designated a topic: Holiday Season. All participants are required to design themes with elements related to holidays, any kind of holiday is accepted. We have lucky draw prizes for forum users! Keep scrolling! Contest topic: design a theme with elements of Thanksgiving, Christmas and the New Year. Step 1: After the submission, Flyme team will check if the participants' works are complete and valid. Then we will pack all your materials to make them into themes. Step 2: The packed themes will be uploaded to Themes app for users to download. The downloading volume will count 60% in the final result. Step 3: The judges from Flyme designers team will give their professional reviews on all works and give marks. The designers' review will count 40% in the final result. Step 4: We'll release the result and calculations to annouce winners! And based on Flyme designers' professional reviews and scores, we will have a 'Designer Award', and the prize is also 1 Meizu Flow Earphones. For users who reply this thread, we will do a lucky draw, 10%, 30%, 50%, 70%, 90% of the replies of this thread will receive an Amazon gift card of 20 USD*. （*To avoid unfair results, the Themes app team will monitor the downloading and one device can only download a certain theme for up to 3 times, if exceeds this number, the excess times will be invalid. Designers who have participated last year's theme contest can recommend up to 3 designers. If his recommended designer wins any prize, he will receive the same prize as his recommended designer. 1. One designer can submit several themes, however, if his/her works win more than 1 prize in the first, second or third prizes, he/she will only get the highest prize he/she wins. 2. Most Popular Award and Designer Award are 2 independent awards so winner of first, second or third prize can have these 2 awards too. However, if these 2 awards are given to the same person, he/she will only receive one MEIZU Flow Earphones. 3. If a designer wins a prize, and his recommendation also wins, he will only get the higher prize of the 2 prizes, however, we will send a MEIZU Flow earphones along as compensation. For example: if a designer Mr.A wins an M6 Note, and his recommended friend Miss B wins PRO 7 Plus, he will receive a PRO 7 Plus (same as Miss B) + a Flow earphones (without M6 Note). 4. Lucky draw is only applicable to users who haven't win any designing prizes. If a winning designer is selected in the lucky draw, the prize will automatically goes to his next thread reply. 5. If the lucky draw winner is found out to be a spammer or used several accounts to increase his/her chances of winning, he will be disqualified. Also if the lucky draw reply is about ill-purposed languages, it will be disqualified too. The prize will automatically goes to the next reply under these circumstances. 6. All works must be original. If any work is reported as plagiaristic with proof, it will be disqualified and we'll stop working with the designer in any future opportunities. 7. Flyme has the right of explanation in this activity. User520521 ...： Good luck for everyones! What we have to reply this thread? I mean creator will send theme to ID for the rank and they and other users have to reply casually? How can we download last year's themes that were created for Chinese contest? I mean, all of them. Because i found no place to get them all. It could be more easy to publish the theme creator application in English. hope i can make my creativity work in this one. Didn't quite get your question, could you explain a bit more? So, I asked that, we have to reply to this thread for those 10- 90% reply casually? Because we will send our theme to given email. And what I can reply is "done and theme sent"
So a designer can win rank prize and % reply 20$ both? And users not participating in theme design can reply this thread casually (example - nice contest) to win 20$?